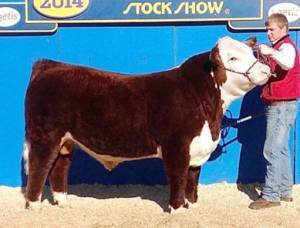 Right Now is a spectacular looking bull who's backed by a tremendous pedigree and extraordinary EPDs across the board. He's your calving ease answer for heifers, without sacrificing quality and profile. 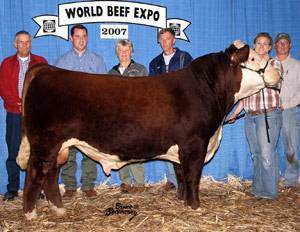 Right Now was rewarded with a few championships in his show career, most notably, being slapped Reserve Grand Champion bull at the 2007 World Beef Expo, which was judged by Chris Mullinex. Right Now's first progeny are winning purple in their debut outings. 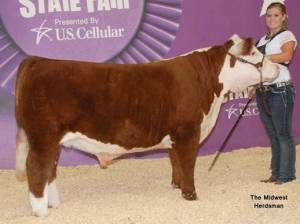 Utilize his calving ease and excellent performance record to improve your herd!